Research has shown that video games can be good for learning, particularly for STEM topics. 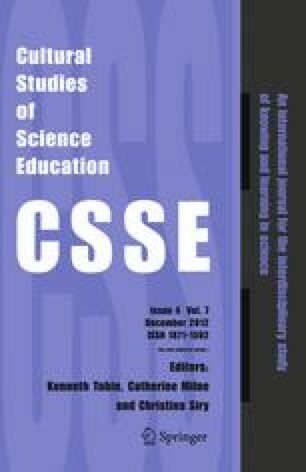 However, in order for games to be scalable and sustainable, associated research must move beyond considerations of efficacy towards theories that account for classroom ecologies of students and teachers. This study asks how a digital game called Citizen Science, built using tropes and conventions from modern games, might help learners develop identities as citizen scientists within the domain of lake ecology. We conducted an expert-novice study, revealing that games literacy was a mediating variable for content understanding. In a follow-up classroom implementation, games literacy also operated as a variable, although students drove the activity, which mediated this concern. The teacher devised a number of novel pedagogies, such as a field trip, in response to the unit. We found evidence for the most powerful learning occurring through these activities that were reinforced via the curriculum. Students were most engaged by Citizen Science’s most “gamelike” features, and learners took up the core ideas of the game. Users also reported the experience was short of commercial gaming experiences, suggesting a tension between game cultures for learning and schools. Gibbs, R. (2010). President Obama to announce major expansion of “Educate to Innovate” campaign to improve Science, Technology, Engineering and Math (STEM) Education. Office of the Press Secretary. Retrieved from http://www.whitehouse.gov/the-press-office/2010/09/16/president-obama-announce-major-expansion-educate-innovate-campaign-impro.